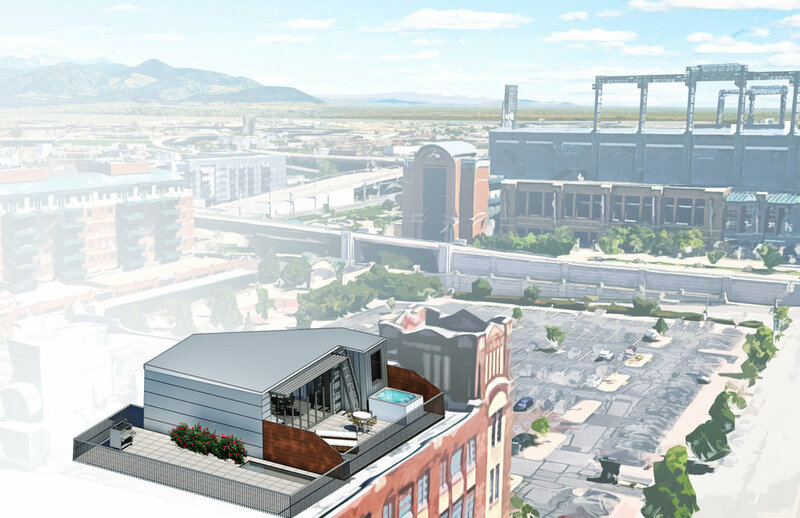 The client approached Bonsai Design + Build seeking architectural services for his proposed 7th story penthouse addition to his 6th floor loft in the existing and historic Rocky Mountain Warehouse Lofts located in LoDo. 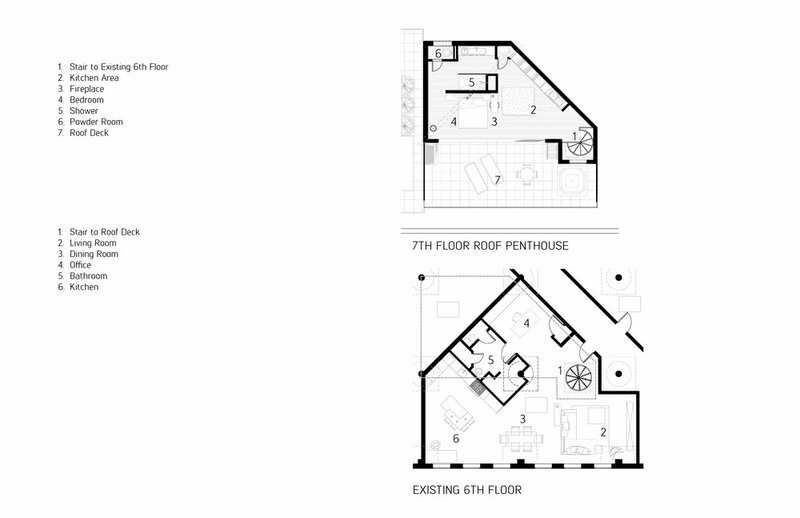 By right, all 6th floor loft owners in this building have air-rights, and thus allowed to build a 7th story to their existing loft. The first order was to seek HOA approval for the design and addition. Extensive survey and design documentation had to be prepared in that effort to appease the board. 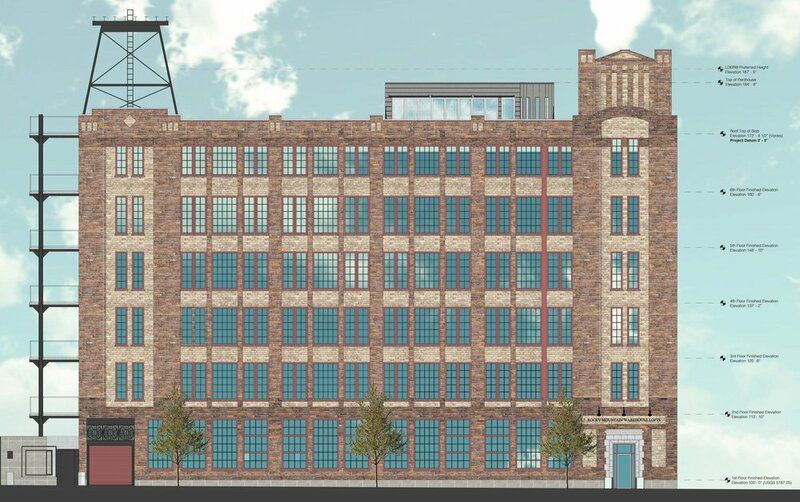 Secondly, approval from the Lower Downtown Design Review Board (LDDRB) had to be secured. An extensive design review package had to be prepared to submit to the LDDRB, though a noteworthy achievement is that Bonsai Design + Build was able to secure LDDRB approval on the first round of submittal to the board! This was recognized at the hearing by the board and our package is now used by the LDDRB as a model for submittals! Thirdly, a zoning review with the city of Denver had to be prepared, and zoning permits were issued by Denver in short order. The project is now slowly moving through Construction Documents and the owner hopes to break ground (or roof) sometime in the new year.